We have Used multiple other live chat earlier, which somehow shifted their attention from a live chat to an”all in one company suite”. 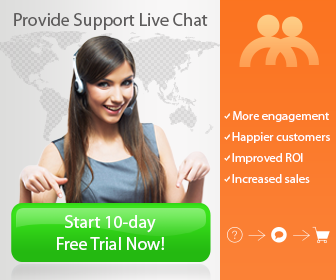 Their live chat still functions, but metrics which are significant for us were removed. We have used those metrics for our yearly reports, and customer overviews, growth rates and more. After we were in for four weeks those metrics disappeared and were replaced by other metrics. We have got a leaderboard for our staff members, which we didn’t use because we are looking for quality support and not quantity and the pricing seems to outperform the benefit. So our choice was clear at the moment: we needed to proceed. We found 14 times history, 30 days History and unlimited history (for higher plans this is common), also here the cost scaling was intriguing. All live talks we attempted had this attribute, a few at higher price tagsothers combined with a badly implemented search feature, therefore the history wasn’t available. With Crisp, the boundless history is currently available with their original paid plan, and it not only ships with a fair price tag, also their hunt works exceptionally well. So at Crisp, you don’t scale by use – that is enormous! They think the identical way we do at Storyblok, we don’t want to restrict the consumer to the usage of this system (eg. Content entrances or contacts), we would like to scale as their team scales. So at Crisp you choose a program and you may scale the numbers from 10 to 10.000 contacts (or much more ) with exactly the exact same price tag. Automated triggers are used to Send a specific message on predefined events, eg. “a visitor is on the same site for over 30 seconds”. Those causes are a good way to help your viewers with questions they may have. We use it on our pricing page because from time to time there are open questions about our pricing, maybe something is not covered in the FAQ section. This component can be found in most options we analyzed and largely available in the first paid program. From time to time we send mails Utilizing our live chat. We think that it’s a good way to retarget our audience because we should have the ability to send relevant content based on some metrics people live talks offer. In all honesty, we’re not sending many mails, because we hate spam on the side. So we want to send specific emails to particular target groups and again: we really like the implementation in the Crisp customer. It is straightforward and satisfied our needs at a sensible price tag. Everybody enjoys integrations. Integrations to Slack, Telegram, Zendesk, Bitbucket, or Jira – you name it. 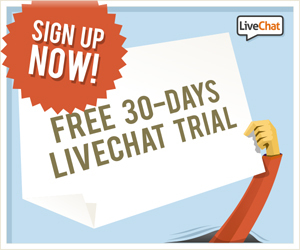 Most live chats provide integrations into the key stations. We don’t actually utilize integrations that much, but the one we use the maximum is using Slack. Slack is the principal communication tool in our company, we use it on a daily basis and added the majority of our tools already – so we concentrated on how they operate and perform together with Slack. We analyzed some of them and many are actually working quite well. We found one that has enormous delays when messaging from and also to Slack that was a no-go for us. We reported that issue to them, but we don’t know whether they changed it since we left six months ago. Together with Crisp the integration worked immediately, notifications came immediately and the entire setup was done in a few minutes. From our experience, Crisp actually Ships with all the focus on such chat experience for your customers. Which is exactly what we were looking for since we evaluated other solutions. This one is tricky. If you browse The last few things you noticed that we compared the lower grade programs and feature with the maximum tier programs, some are cheap at the start and become costly as you use them. After using Crisp for six months now, and changed from a competition because of the pricey”ending” and those feature we didn’t need but would need to cover. We’re glad to say that we think we have the best fit for us, perhaps it will fit as well for you. We found the listing of 8 facets above is all you need to locate your own best fit.